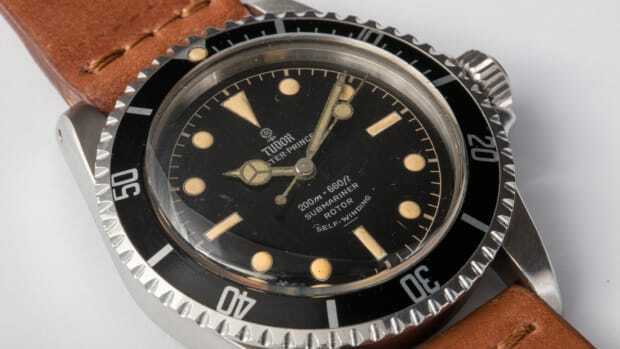 Coming up for auction in Geneva. 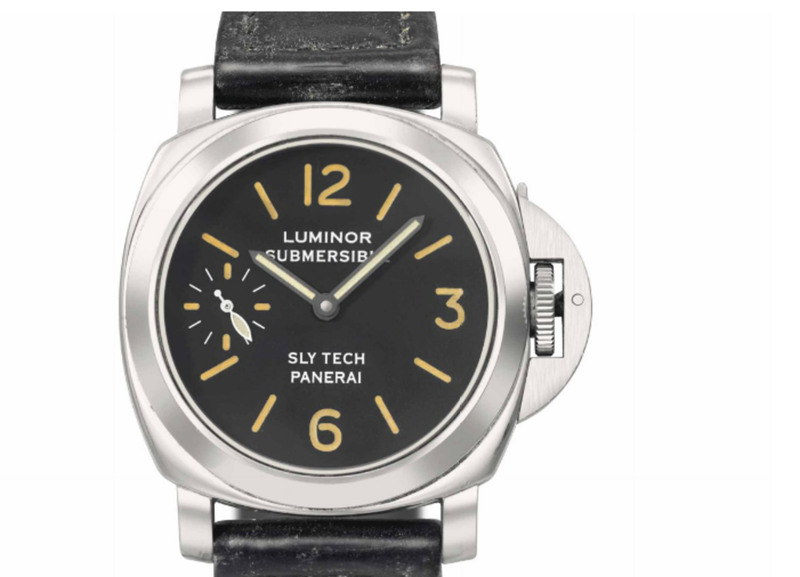 Some of the rarest and most valuable Panerais in existence will be offered at Christie’s Important Watches sale in Geneva on Nov. 9. 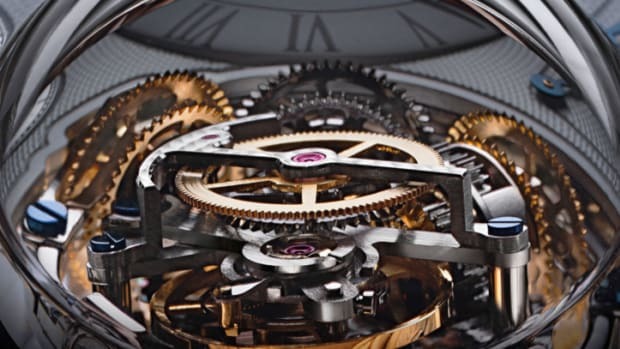 “Pre-Vendome” Panerais – meaning those made before the company’s purchase by the Vendome luxury group, now Richemont, in 1997 – are highly prized by collectors, but some of the ones featured here are much older than that. 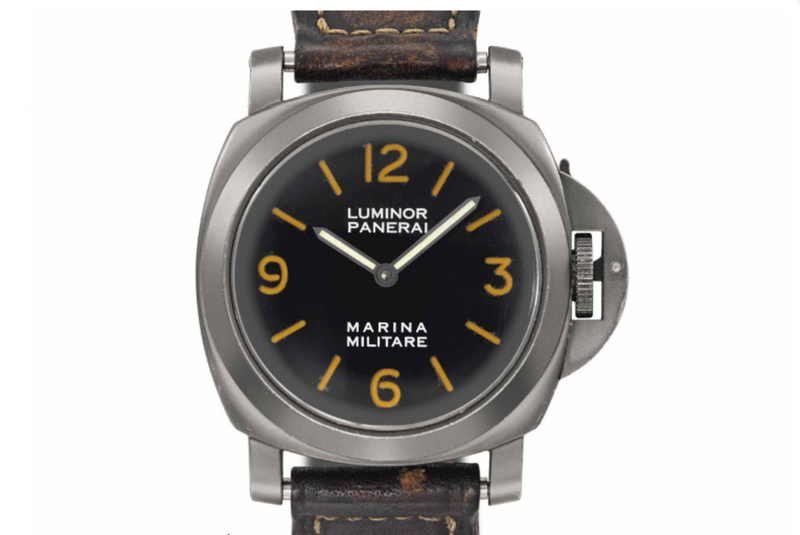 Included are two extremely rare examples made for the Italian national police force and the Italian Navy. 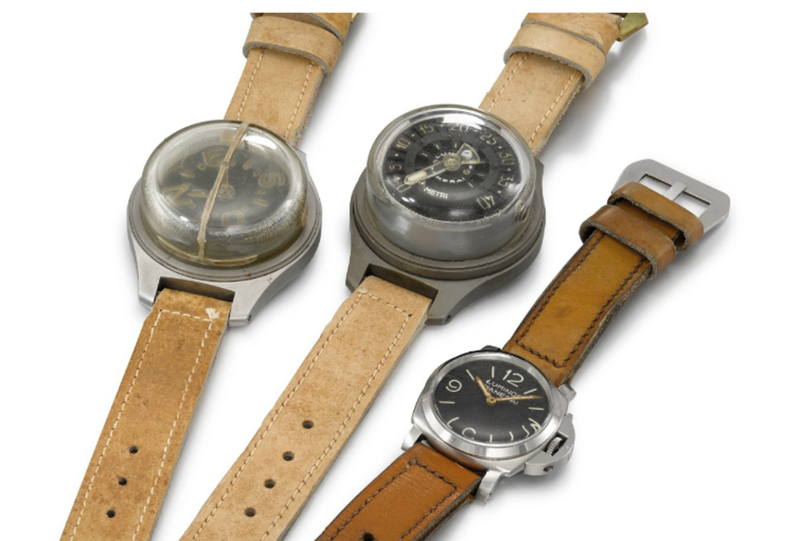 Add to that a couple of prototypes with accompanying documentation signed by Alessandro Bettarini, formerly head of Panerai's mechanical design department, and a few accompanying wrist compasses harking back to Panerai’s past as a manufacturer of diving instruments for underwater commandos and you’ve got a veritable treasure trove. 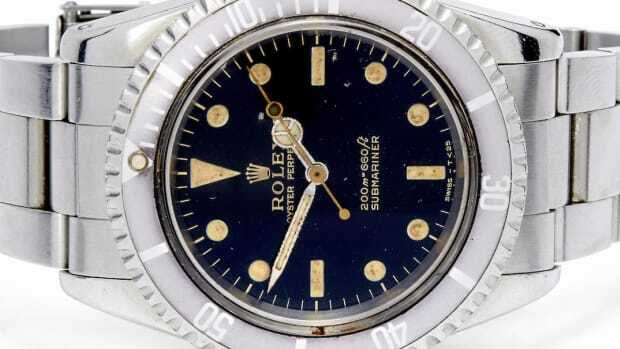 An extremely fine and rare "Luminor Trittico" stainless steel wristwatch with tropical dial and Rolex movement, a wrist compass and a depth gauge, supplied to the Polizia di Stato, all circa 1955. Est. $126,135 – $231,247. 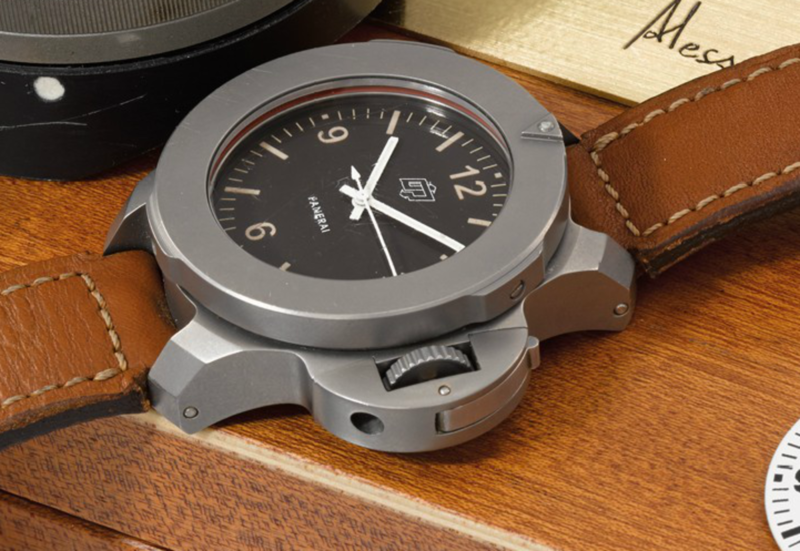 An extremely rare and attractive titanium experimental diver’s watch prototype, two additional dials, fitted wooden presentation box, diver's wrist compass in fitted cardboard box, and three framed limited edition prints of technical drawings of the watch signed by Alessandro Bettarini, both c. 1985. Est. $105,112 – $210,225. 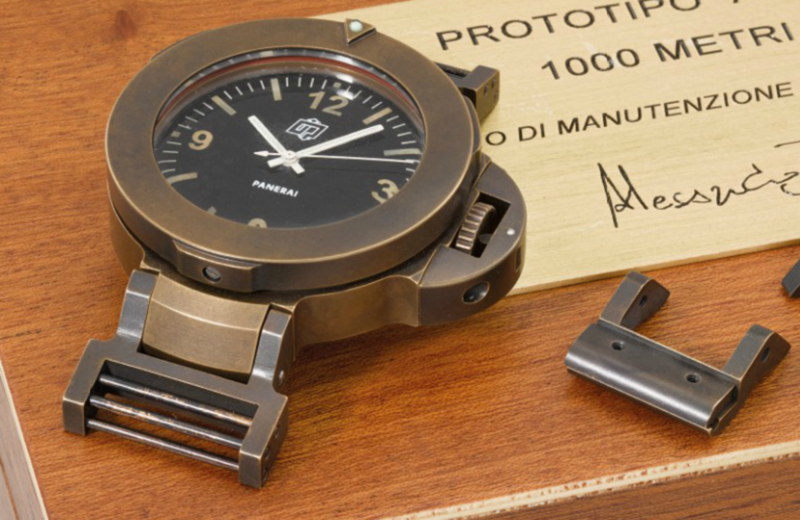 An extremely rare and attractive bronze experimental diver’s watch prototype with three prototype dial plates, fitted wooden presentation box and three framed limited edition prints of technical drawings of the watch signed by Alessandro Bettarini, c. 1985. Est. $105,112 – $210,225. 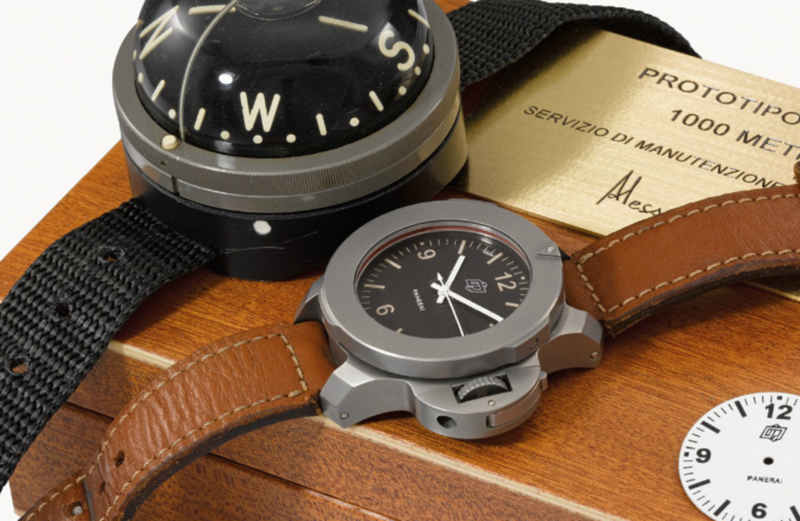 An extremely rare 44mm PVD-coated stainless steel diver's wristwatch with "non-matching" dial, registration and service booklet, two cards and original fitted mahogany presentation box, made for the Italian Navy (Marina Militare). Manufactured in 1993. Est. $105,112 – $210,225. 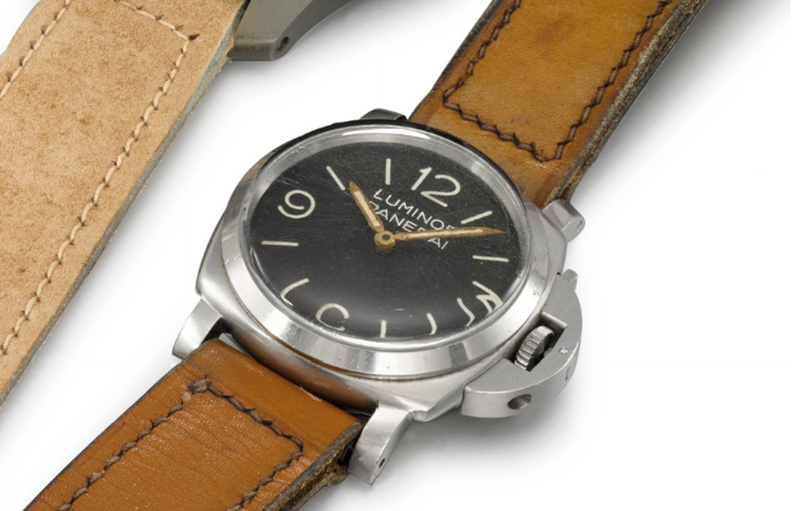 A rare and large stainless steel cushion-shaped diver's wristwatch with color-change dial with a Rolex case and movement, signed Panerai Radiomir, circa 1942. Est. $73,579 – $126,135. A very rare and large 44mm stainless steel cushion-shaped limited edition wristwatch Sylvester Stallone “Sly Tech” model, limited edition of 200, made c. 1995. 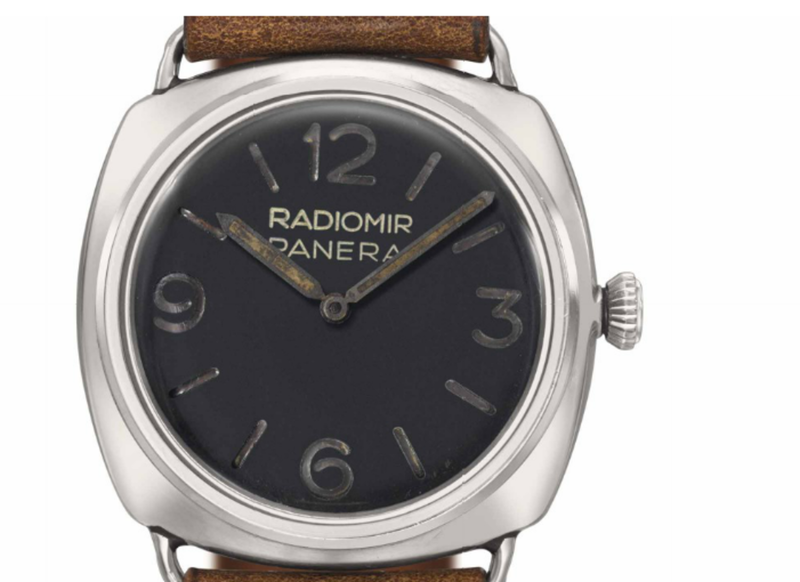 The model that put modern Panerais on the map. Est. $42,045 – $63,067.